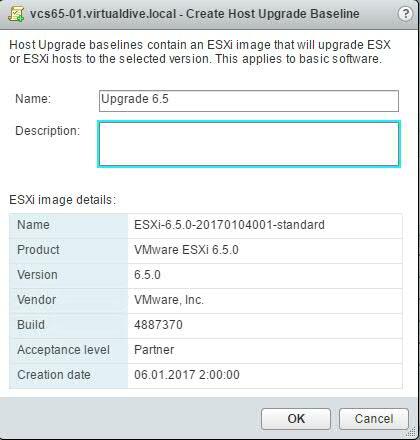 Update Manager has been and is the tool for upgrading and patching ESXi hosts, virtual appliances and VMs. There was only one caveat: it needed a Windows server to run on. 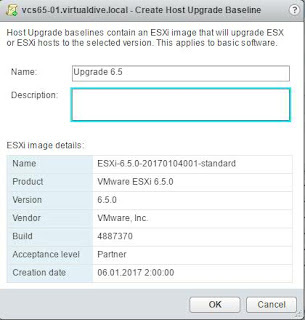 It needed it, because starting with version 6.5, vSphere Update Manager is no longer dependent on Microsoft Windows. 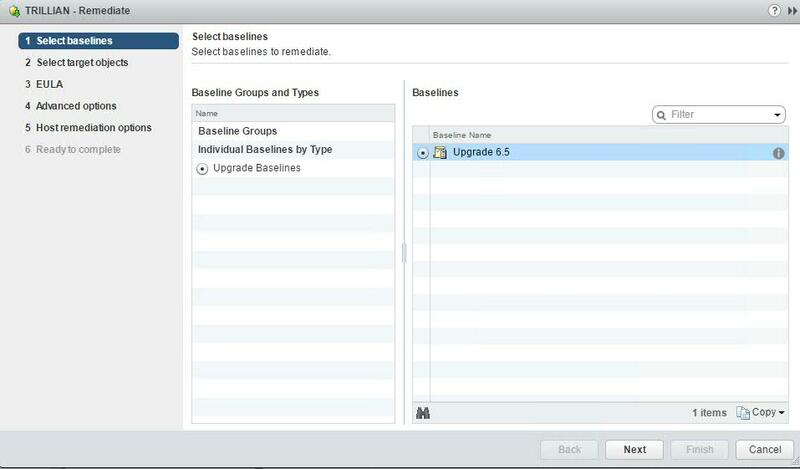 Update Manager 6.5 is embedded in vCenter Server Appliance 6.5 and uses the internal vPostgres database. The Windows offering still exists, but now there is a choice between going all Windows or all Linux. 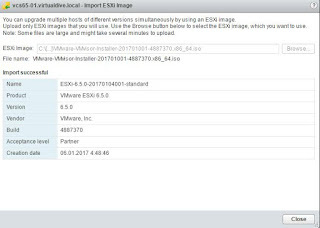 From the point of view of functionality, one of the features Update Manger offers is orchestrated ESXi host updates. Since I got a few questions related to host updates, I will describe in the post how to do the update. 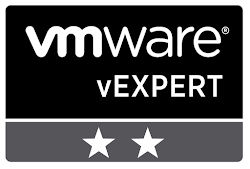 In my case I updated from vSphere 6.5 to 6.5a. Not a big step, but enough to prove a point. 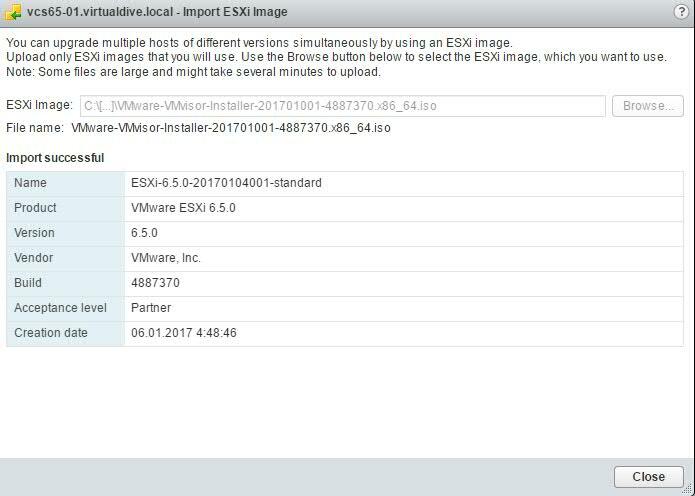 I've started by downloading the latest ESXi ISO from VMware site, then logged in vCenter Web Client and uploade the image in Update Manager. 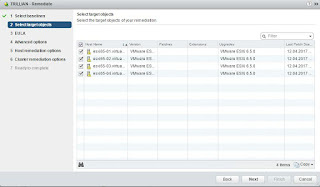 In Web Client go to Home - Update Manager - Manage tab - ESXi Images and select Import ESXi Image. Browse to the location of the ISO image and upload it. Now the desired image is in the repository. To use the image, we need to attach it to a baseline. Then the baseline will be attached to the hosts or clusters that we want to update. Right click on the image and select create baseline, type the name of the baseline, optionally add a description and press OK. Attach the new baseline to cluster of hosts. In Web Client go to Home - Hosts and Cluster, right click cluster, in the action list go to Update Manager and select Attach Baseline. 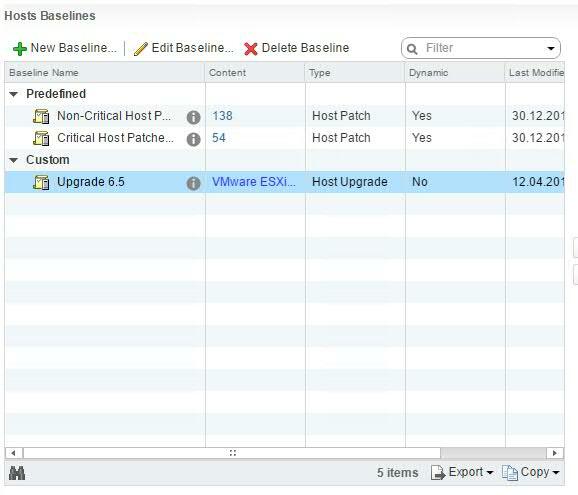 Select the appropriate baseline an click OK. Next, go to Update Manager tab and press Scan for Updates to check the compliance status of the hosts in the cluster. After the scan finishes, the Non-Compliant message is displayed and we can start the remediation process. Pressing Remediate starts the wizard. First, select the baseline to apply (there might be other baselines attached to the hosts). 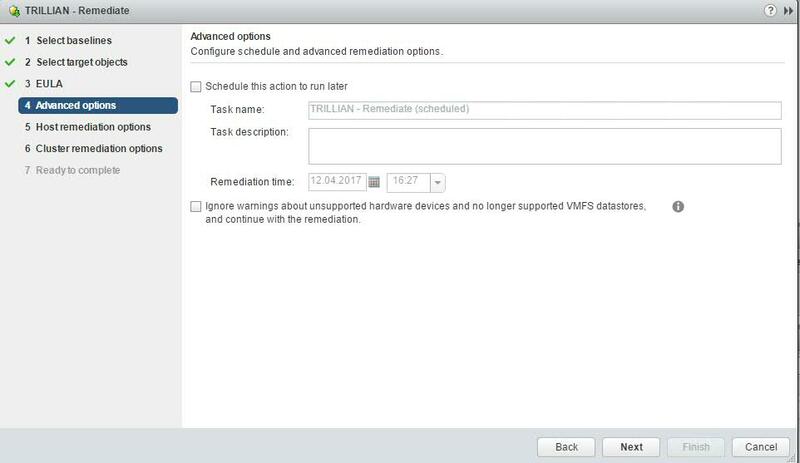 On Host remediation options select what to do with the VMs when hosts are put into maintenance mode: leave them on, suspend or power off. 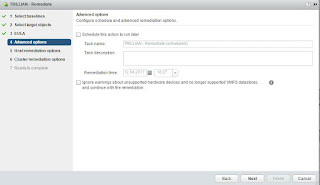 Removable media mounted to VMs can be automatically disabled. In case entering maintenance mode fails, we can specify how many times to retry and how long to wait between retries. 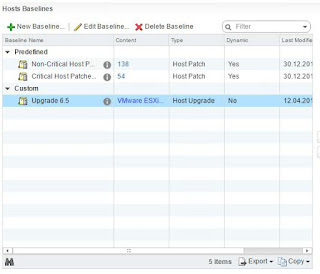 The settings can be saved as default host remediation options for future upgrades. 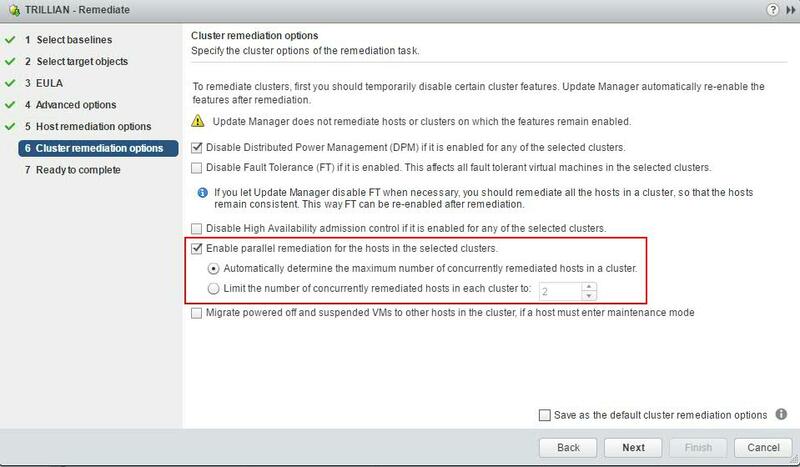 Finally, the Cluster remediation options enables changes at cluster level - disable DPM, disable Fault Tolerance, disable HA admission control. 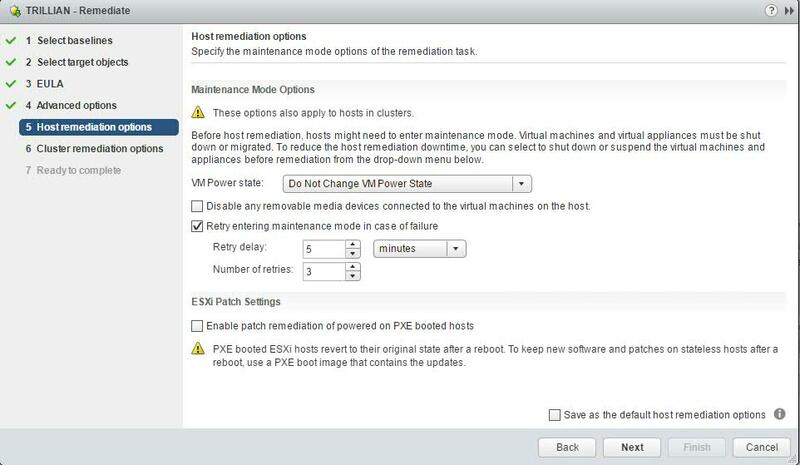 Powered off and suspended VMs can be migrated to other hosts in the cluster while a host enters maintenance mode. 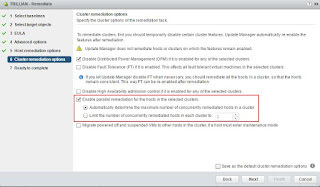 Finally you may select to enable parallel cluster remediation and to specify how many hosts to process in parallel or let Update Manager decide the number based on the cluster settings. 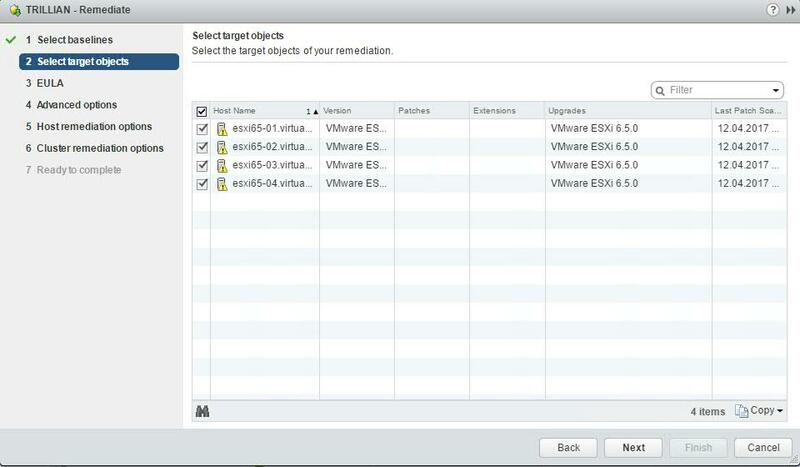 Parallel remediation is applied only on hosts where VMs are powered off or suspended. 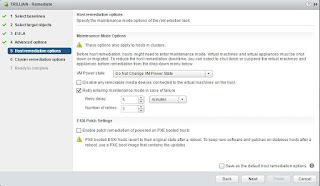 Also, VSAN cluster allows only for one host to be in maintenance mode at a time. 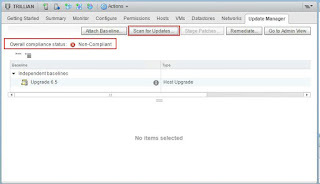 Hosts in VSAN cluster will be updated sequentially. 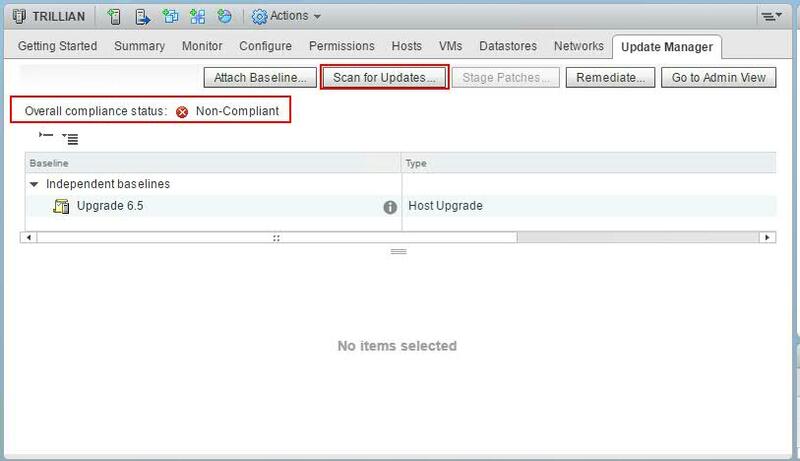 If remediation is sequential and one of the host fails to enter maintenance mode, Update Manager will report an error and stop the remediation process. When parallel processing is selected, if Update Manager encounters an error, it ignores the host and it continues with the next host in the cluster. Press OK and the remediation process will start. 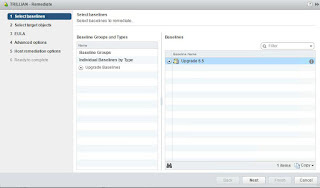 At the end of the process, the status of overall compliance in Update Manger tab will display Compliant.